We are BBT Breaking Barriers Translations! Based in the United States, we provide translation services for government, corporate and individual clients in the US and internationally. If you have questions and want to find out more, call us. We gladly will answer any questions you may have. When we translate your official documents you will get a translation with a certificate of accuracy. A certified translation is a legal record added to the translation of a document signed by an officer of the translation agency and notarized by a Notary Public, attesting that the translation agency believes the translation to be accurate and complete. This part of the document is called a "Translation Certification." BBT Translation Services follows the strictest standards for certification. 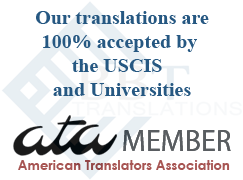 Professional translators attest to the accuracy of all BBT translations, and each page of your translation is sealed to diminish the possibility of fraud. Our translations bear a raised seal on the certification. 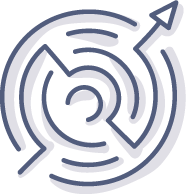 Read our Faq's to obtain more information about our certified translation service.